Kaija Saariaho is a prominent member of a group of Finnish composers and performers who are now, in mid-career, making a worldwide impact. Born in Helsinki in 1952, she studied at the Sibelius Academy there with the pioneering modernist Paavo Heininen and, with Magnus Lindberg and others, she founded the progressive ‘Ears Open’ group. She continued her studies in Freiburg with Brian Ferneyhough and Klaus Huber, at the Darmstadt summer courses, and, from 1982, at the IRCAM research institute in Paris – the city which has been most of the time her home ever since. At IRCAM, Saariaho developed techniques of computer-assisted composition and acquired fluency in working on tape and with live electronics. This experience influenced her approach to writing for orchestra, with its emphasis on the shaping of dense masses of sound in slow transformations. Significantly, her first orchestral piece, Verblendungen (1984), involves a gradual exchange of roles and character between orchestra and tape. And even the titles of her next, linked, pair of orchestral works, Du Cristal (1989) and …à la Fumée (1990) – the latter with solo alto flute and cello, and both with live electronics – suggest their preoccupation with colour and texture. Before coming to work at IRCAM, Saariaho learned to know the French ‘spectralist’ composers, whose techniques are based on computer analysis of the sound-spectrum. This analytical approach inspired her to develop her own method for creating harmonic structures, as well as the detailed notation using harmonics, microtonaly and detailed continuum of sound extending from pure tone to unpitched noise – all features found in one of her most frequently performed works, Graal théâtre for violin and orchestra or ensemble (1994/97). Later Saariaho has turned to opera, with outstanding success. L’Amour de loin, with a libretto by Amin Maalouf based on an early biography of the twelfth-century troubadour Jaufré Rudel, received widespread acclaim in its premiere production directed by Peter Sellars at the 2000 Salzburg Festival, and won the composer a prestigious Grawemeyer Award. Adriana Mater, on an original libretto by Maalouf, mixing gritty present-day reality and dreams, followed, again directed by Sellars, at the Opéra Bastille in Paris in March 2006. Emilie, an opera and monodrama for Karita Mattila had its premiere in Lyon in March 2010. Around the operas there have been other vocal works, notably the ravishing Château de l’âme (1996), Oltra mar (1999), and the song-cycle Quatre instants (2002). And the oratorio La Passion de Simone, portraying the life and death of the philosopher Simone Weil, formed part of Sellars’s international festival ‘New Crowned Hope’ in 2006/07. The chamber version of the oratorio was premiered by La Chambre aux echos at the Bratislava Melos Ethos Festival in 2013. The experience of writing for voices has led to some clarification of Saariaho’s language, with a new vein of modally oriented melody accompanied by more regular repeating patterns. This change of direction has been carried over into orchestral works including Aile du songe for flute and chamber orchestra (2001) and the stunning Orion for large orchestra (2002), Notes on Light (2006) for cello and orchestra and Bergman inspired Laterna Magica (2008), written for Sir Simon Rattle and the Berlin Philharmonic Orchestra, D’OM LE VRAI SENS (2010) was written for clarinetist Kari Kriikku, Maan Varjot (2013) for organ and orchestra, among others.In the profusion of large and small works which Saariaho has produced in recent years, two features which have marked her whole career continue to stand out. One is a close and productive association with individual artists – not least Amin Maalouf and Peter Sellars, as well as the conductor Esa-Pekka Salonen, the flautist Camilla Hoitenga, the cellist Anssi Karttunen, the soprano Dawn Upshaw and, the pianists Emmanuel Ax and Tuija Hakkila . The other is a concern, shown equally in her choice of subject matter and texts and in the profusion of expression marks in her scores, to make her music not a working-out of abstract processes but an urgent communication from composer to listener of ideas, images and emotions. 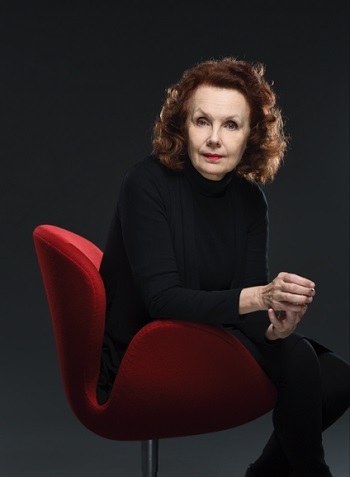 Saariaho has claimed the major composing awards in The Grawemeyer Award, The Wihuri Prize, The Nemmers Prize and in 2011 was awarded The Sonning Prize. In May 2013, Saariaho was awarded the Polar Music Prize. In 2015 she was the judge of the Toru Takemitsu Composition Award. Always keen on strong educational programmes, Kaija Saariaho was the music mentor of the 2014-15 Rolex Mentor and Protégé Arts Initiative and will be in residence at U.C. Berkeley Music Department in the autumn 2015. In 2012, Circle Map was commissioned by the Royal Concertgebouw Orchestra, the Boston Symphony Orchestra, Gothenburg Symphony Orchestra, Orchestre National de France, Royal Scottish National Orchestra and Stavanger Symphony Orchestra. The piece has been inspired by six poems of Rumi. These poems recited in Persian are used as the material for the electronic part. Circle Map was premiered by Amsterdam's Royal Concertgebouw Orchestra conducted by Susanna Mälkki at the Westergasfabriek Gashouder, Amsterdam on June 22 2012. In 2015 the song cycle True Fire was premiered by Gerald Finley and Los Angeles Philharmonic, conducted by Gustavo Dudamel. Her next opera – Only the Sound Remains – will be premiered in March 2016 at The Dutch National Opera. Other performances will follow in Paris, Helsinki, Madrid and Toronto. Kaija Saariaho’s harp concerto Trans will get the world premiere in August 2016 by Xavier de Maistre and The Tokyo Symphony Orchestra, conducted by Ernest Martinez-Izquierdo at the Suntory Hall, Tokyo. The music of Kaija Saariaho is published exclusively by Chester Music and Edition Wilhelm Hansen, part of the Music Sales Group of Companies. The archive of Kaija Saariaho’s work/music is housed at the Paul Sacher Foundation in Basel, Switzerland. Please turn to them with research requests: https://www.paul-sacher-stiftung.ch/en/home.html.